Coach Chot Reyes already named those 17 Players who will play for the FIBA World Cup 2014 in Spain. 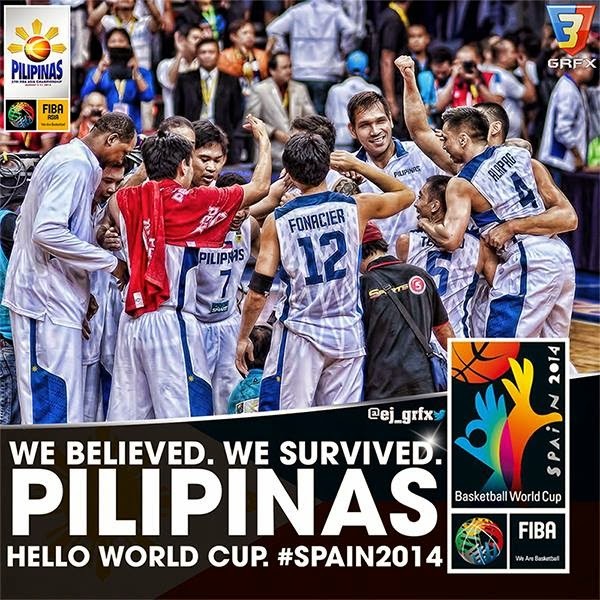 As the Gilas having a success last 2013. Gilas now preparing a quality players and they're not want to lose the opportunity to have a higher place in the World Cup. They're not looking for just a win, they're looking and striving to win this event. Yes' it's would be a hard game for the Gilas but they will give all their best to win every games in the FIBA World Cup. These are the Players of Gilas Pilipinas for the FIBA World Cup 2014. If you see Gilas Team, its looks like at it's best, they have the height, the speed and the skills to compete with all international great and NBA players. Just good luck, there's nothing impossible if you believed. We can't get chances like this anytime, it took 40 years after the Philippines qualified for this event, so bring the best, do the best and believed that we can make it.